How to obtain? – Purchase from Agris Port Lux with 2,000,000 Alz and 30 Drei Frame’s Core. How to use? – One (1) Peticia’s Golden Key needed to open the box. - Three (3) types of Drei Frame Armor or Epaulet for each class. - Tradable item drops at low rate. 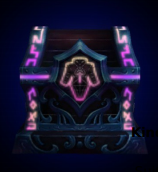 - There is a chance that higher epic items can be obtained from the box than normal dungeon drops. I’m glad that they thought something like this, where any player can have an access to the box. This will be an alternative way in obtaining the needed armor that they want especially that the required level for this armor is bit high and getting decent option in this kind of level has a somewhat slim chance. Good thing this box will be implemented soon. You can share your thoughts, opinions and reactions by providing a comment below. where can we find or buy peticia's golden key?